Finding work after the army doesn’t have to be frustrating and troublesome. There is plenty of help for veterans, both from government programs and from social organizations. You aren’t in this alone, and you’ll be amazed at how many employers would rather hire a veteran than anyone else. 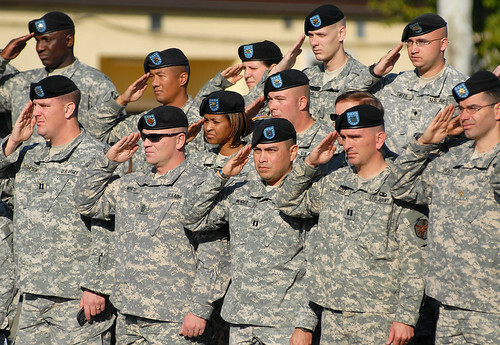 If you have been in the military for at least 4 years, you qualify for resettlement services. If you spent 6 years in the service, you get the full resettlement services. This help can be invaluable in finding you the job you want, in the area in which you wish to live. With 6 years in the military, you get a 4 week period for Graduated Resettlement Time. You are also eligible for the Resettlement Training Costs grant. This helps you to pay for travel and meals during your resettlement activities. With the Employment Support Program, you get help finding a job for up to 2 years after you leave the force. They’ll even start working for you 6 months before you leave the service. Your consultant will keep you posted on employment opportunities, and you’ll also receive help putting your resume together. Your consultant will also help you to contact potential employers and help you find suitable living conditions. You’ll even be able to get information about education for your dependents. Furthermore, the resources available on jobs, employers, and job markets, will be available to you for the rest of your life. You’ll receive further education as you are trained for resettlement. The training will be in your choice of 3 areas, any of which will prepare you for the civilian or civil job market. Whether you choose training in management, building trades, or engineering, you’ll find that the skills you developed in military service are honed and adapted for public and private service through these training opportunities. You’ll find, through your resettlement training, that your military skills are very sought after in the private sector. If you select the management route, you will be well qualified for a job in police work, as a bursar, or as a facilities or project manager. Engineering courses will train you in the field of electrical work, opening a broad job market in construction and power plant work. You’ll also be qualified to do IT work, which is a very open field. Other job opportunities exist if you select the building trades for your resettlement training. This will make you employable in different trades such as plumbing, dry lining, painting, plastering, and many other trades in high demand. You’ll find that your IRTC grant will provide you with the courses necessary to get a position in these fields. Your job opportunities are varied once you leave the service. With the help for veterans that is made available to you through retraining and resettlement, you should be able to find a job that not only makes you happy, but provides a good living for you and your family. Fred Burns has been working in the security sector for many years. He enjoys writing security related articles and anything that will help land someone a job. He currently works for Crossdeck, a website that helps find security training and security cleared jobs.